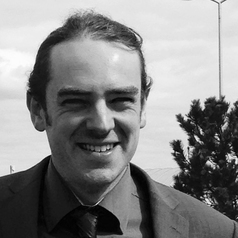 Thomas is a Lecturer in Law at the University of Stirling, Scotland. He undertook his qualifying law degree and other legal qualifications at Queen's University Belfast. He has particular expertise in Public Law and Environmental Law. He is a co-founder and co-editor of Freckle, an environmentally-focused magazine that celebrates people and place in Northern Ireland and beyond, and sits on the Law Society of Scotland's Education and Training (Standard Setting) Sub-Committee and its Education and Training (Policy) Committee, which regulate solicitors’ training in Scotland.